Charmaine Brimm is passionate about community development and has served in this area as Programme Assistant to the United Nations – ILO/USDOL HIV/AIDS Workplace Education Project. She has worked with several non-profit Christian Organizations in the capacities of Project Manager - City Life Ministries inner-city development programmes, Personal Assistant in the offices of Whole Life Ministries and the Build Jamaica Foundation. Additionally she has served as Presiding Officer in Jamaica’s general elections, and Assistant Project Coordinator – UWI Quality Leadership Programme whilst attending the University of the West Indies – Mona, Jamaica W.I. Charmaine would love to make an indelible impact on the world scene for Jamaica – politically, or otherwise, and intends to walk out in the full manifested miracle working power of God in this life: healing the sick, raising the dead, bring God's life to those who are dying. Jacquie had a supernatural and life changing encounter with the Person of the Holy Spirit and has since become a “God-Chaser” extraordinaire, seeking first the Kingdom of God and His righteousness with a passion to help others enter into a more deeply intimate relationship with the Almighty God. She is a woman of Faith and Prayer, who counts it all joy to be able to encourage those she comes into contact with to contend for the manifestation of God’s promises and walk in the power of His Anointing to fulfill their divine purpose. She has been employed in the Aviation Industry for thirty-five years and enjoys both personal and missionary journeys to the “uttermost” parts of the world. As a “Son of God”, it is her desire to fulfill the mandate of Mark 16:15, “Go into all the world and tell the Good News to all creation”, engage the enemy in warfare fearlessly and see the Kingdom of God established in the earth. Nicky is best described as a women who loves the Lord intensely and whose only desire is to walk in His purpose and destiny for her life. After 10 years of active service at Fellowship Tabernacle, Nicky and her husband migrated to Barbados where they were ordained as Elders at Faith Temple International Ministries. While there, she served in the Women’s Aglow International Ministry and the School Outreach Ministry that visited garrison schools and conducted counseling and motivational session. An ardent intercessor, she became involved in a prayer group that met weekly to pray for national educational issues. Having returned to Jamaica, she currently assists in marketing the Word for Today devotional for Reconciliation Ministries International. She and her husband Nigel have been married for thirteen (13) years and are the parents of two beautiful children, Nathaniel (8 years) and Natalia (6 years). Audrey Lyseight is an educator at Meadow Brook High School in St Andrew, Jamaica where she teaches visual arts and religious education, as well as offering assistance to the guidance and counselling Department. Much of her time is spent instructing and coaching students in lessons for life, as they prepares for adulthood. She also coordinates the ‘summer school’ programme for the institution. Audrey has a Bachelor of Arts degree in Theology and Fine Arts. For many years, she operated her own business but now uses those skills in areas both at school and at her church, Fellowship Tabernacle where she has been a member since 1991. 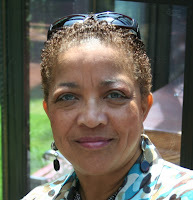 She currently serves on the Executive Board of the Women’s Ministry at church. She daily endeavours to live an exemplary life so that others might be attracted to, and learn of Christ through her lifestyle. She has two daughters and two granddaughters. Connie is a woman of prayer, with a passion to see captives set free and to see women, in particular those who have been abused and rejected, come into the fullness of their God - ordained purpose. A Physical Therapist by profession, she uses her gifts and talents to minister to souls, not only physically, but also spiritually. Connie, a graduate of the Whole Life Ministries Bible School, has a strong prophetic call on her life, and she serves in the Intercessory, Deliverance and Women’s ministries at Fellowship Tabernacle. 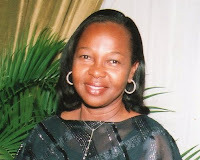 She has also served on the committee of the Women’s Aglow International Fellowship - Kingston Chapter. Andrea Graham, otherwise called Anniegee is a noted Business Development Consultant who has served in various capacities in Business over the years and who now hosts her own Radio programme ‘Lets Talk Small Business’. Her past experience in Fashion Designing, Floral artistry and Interior Decorating has earned her many awards and provided a platform for her to offer training in these areas to thousands of students over the years. 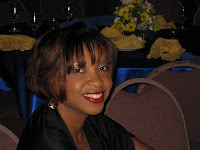 She is often sourced for advice in the area of small businesses by media houses both in Jamaica and the Caribbean. 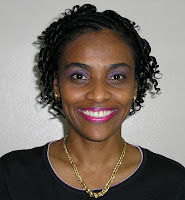 Andrea is a Pentecostal whose passion is encouraging and assisting in the development and growth of businesses. She loves the Lord intensely and spends much of her time tucked away in her secret place with God. She ensures that quality time is reserved for her two children. 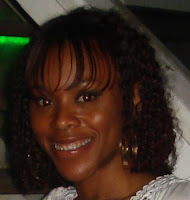 Dionne Camille Forbes is a member of Fellowship Tabernacle, she presently serves in the Dance ministry and recently graduated from the Whole Life Ministries Bible School. She holds a BSc. 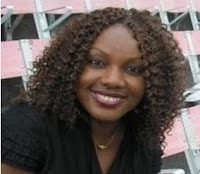 in International Relations and Psychology from the University of the West Indies and a postgraduate degree in Business Administration from Nova Southeastern University and is currently the Manager, International Relations at the Jamaica Customs Department. She loves the Lord and gains pleasure from seeing persons pursuing their purposes with passion. She adores children and views parenting as one of the most important and fulfilling responsibilities any person can have. She is fascinated by nature as it is one of God’s greatest expressions of his creative power. She believes that there is nothing too hard for God.